I am going back to the roots of Samurai Mind Online. 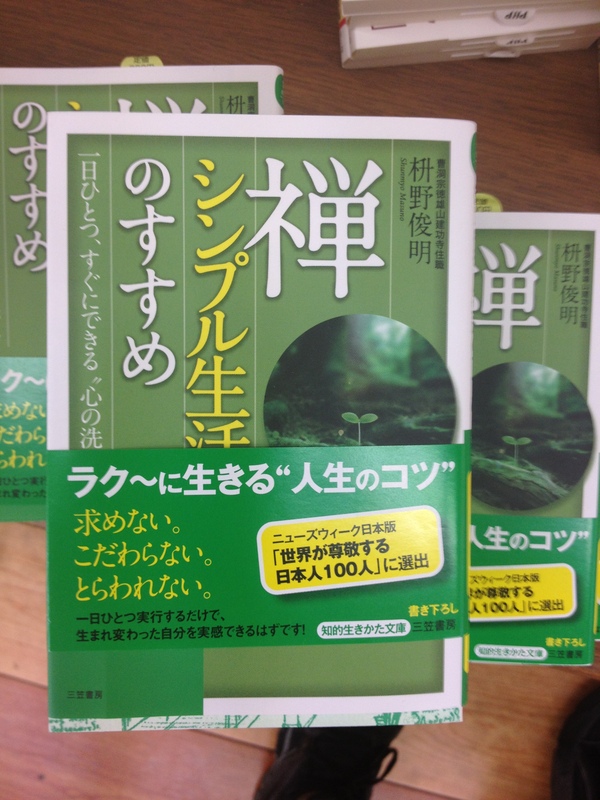 When I began this blog I was inspired by Japanese self-help writers as way to learn how to use my mind better while learning Japanese . I was browsing through a Numazu bookstore and found a nice little pocket sized book. 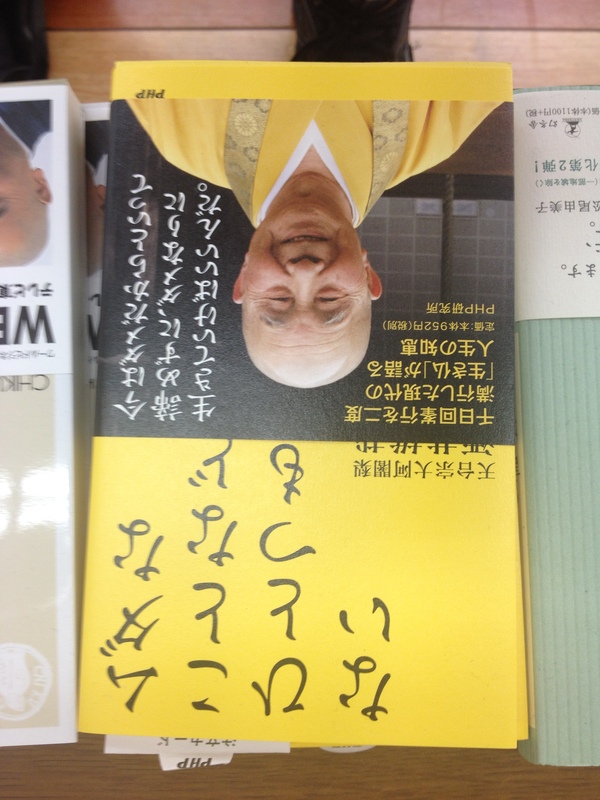 It was until I got home that I actually noticed the biggest kanji on the cover and realized it was a Zen based book. Samurai score! I am enjoying just reading the chapter titles. The chapters are bite-sized but I haven’t gotten around to reading the innards. There are some great hints for leading a powerful, simple life. Here are a few of my faves. As always, take my translations with a dash of soy sauce. Use it for your life or for your sentence sampling if you are studying Japanese. 十五分、早起きしてみるーーTry waking up fifteen minutes earlier. 朝の空気をしっかり、味わうーーReally take in the morning air. 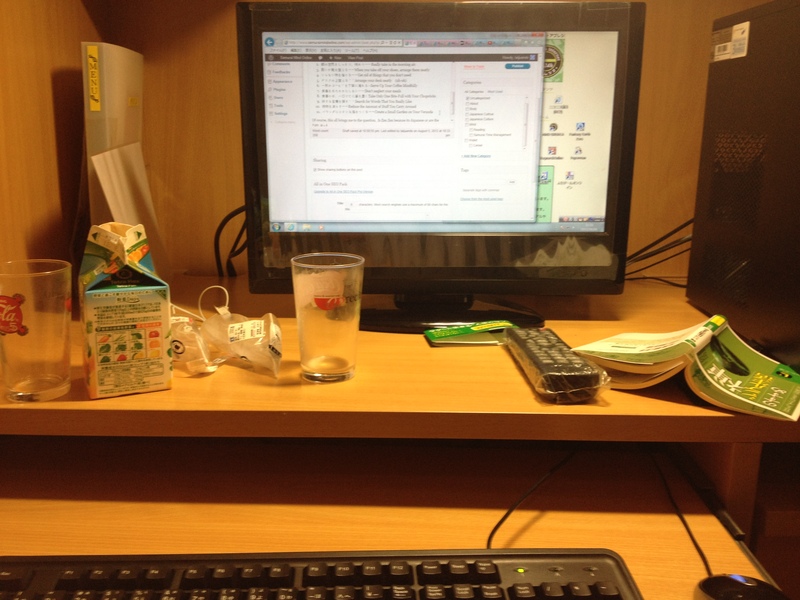 My Un-Zen desk at the Manga Cafe. This book didn’t make my browsing cut but I like the message. I think the title is something like ‘Nothing is Pointless.’ More Buddhist self-help, please! Of course, this all brings me to the question： Is Zen Zen because its Japanese or are the Japanese Japanese because of Zen? The answer is probably yes.